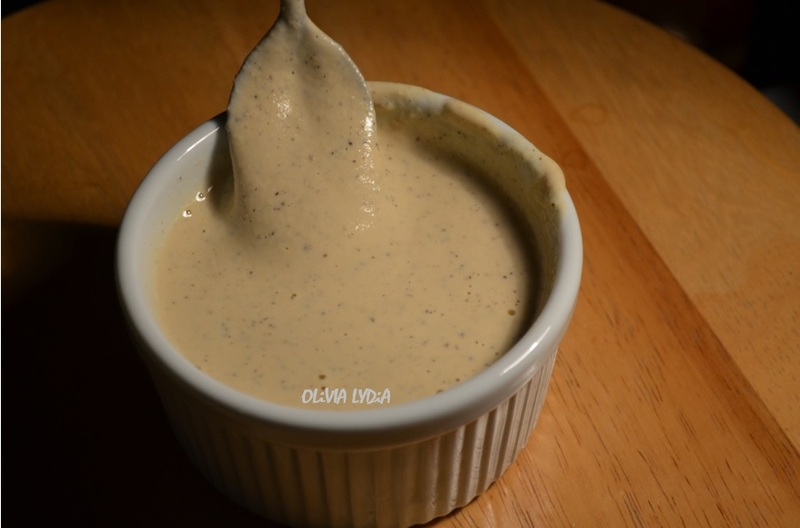 Garden Romaine Caesar Dressing (Vegan) – Olive For Greens. When I was younger, I didn’t like Caesar dressing. But as I always say, try it first! If you think you don’t like something that you tried in your past, try it again! I just started enjoying Caesar dressing again until [dramatic pause] I found out what was really in it and changed my eating habits. Lot of additives and some even have anchovies. Additionally, Caesar dressing has cheese in it- which I do love but try to steer clear of. Dairy in general is hard for our bodies to digest. In fact, the only dairy I cannot let go of is cheese. I do not deprive myself, I just set limits! That being said, this recipe does not have cheese. It’s vegan. For a cheesy element, I used Nutritional Yeast instead. If you don’t mind the cheese, go for it! But if you are vegan or are looking for a healthier alternative, try the nutritional yeast. You will not regret it. This recipe is really easy to make. All you need a blender! Tip: Nutritional yeast can be purchased at Whole Foods in the bulk section. You can buy as much or as little as you want. OR try amazon. Optional: Instead of ¼ cup cashews, you can use ½ cup & eliminate the pine nuts. 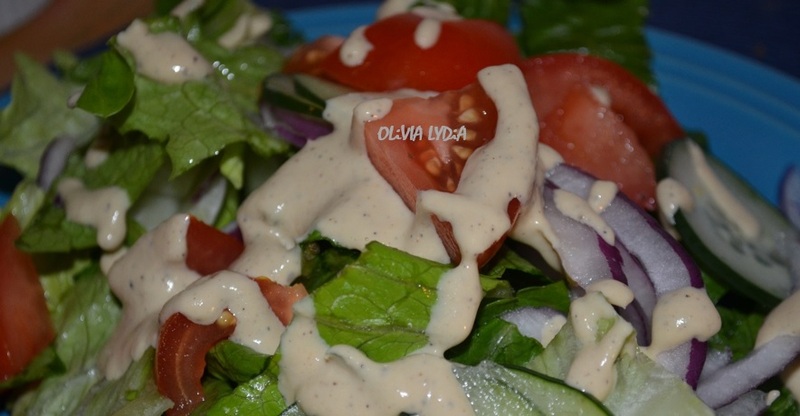 Top on a garden Salad (Romaine, tomatoes, onions & cucumber). Tip: If the Caesar is too thick, just add a little but more water. Pingback: A Farmer’s Caesar Salad – Olive For Greens.